Following the EU-China Summit [1-2 June 2017], the European Union and China held their 35th human rights dialogue, on 22 June 2017. On the occasion, the Chair of the European Parliament's Subcommittee on Human Rights (DROI), Mr Pier Antonio Panzeri (S&D, IT), drawing attention to the declining situation of human rights in the People’s Republic of China, urged the EU and its Members to review the structure of the high-level dialogue to make it meaningful, constructive, and effective in engaging China on human rights. In order to do that, according to Mr Panzeri, perspectives of both Chinese and European civil societies should be addressed, raising issues such as freedom of speech, religion, and assembly, and cases of human rights defenders such as Ilham Tohti, the Uyghur scholar currently serving a life sentence in China. Furthermore, the DROI Chair affirmed that the Subcommittee stands prepared to organise a visit to the country in order to promote relevant discussions. His statement corroborates UNPO’s position, taken together with nine other organisations, in stressing EU’s failure to take a strong position in demanding China to comply with its human rights obligations, including the release of imprisoned activists, and the superficial structure of the ongoing dialogues. Mr Panzeri’s statement also upholds UNPO’s understanding of an imperative need for the EU to adopt clear benchmarks to assess and keep track of the human rights situation in China, in a results-oriented approach without which positive developments are unlikely to follow. EU-China Human Rights Dialogue should be strengthened and sharpened, says DROI Chair, Pier Antonio Panzeri (S&D, IT) on the occasion of the China human rights dialogue on 22 June 2017. "At the recent EU-China Summit (1-2 June), the European Union and China agreed to hold their 35th human rights dialogue on 22 June 2017. In view of the deteriorating human rights situation in China and the need to use every opportunity to engage with our counterparts in a constructive manner, based on mutual respect, we welcome the organisation of this human rights dialogue. 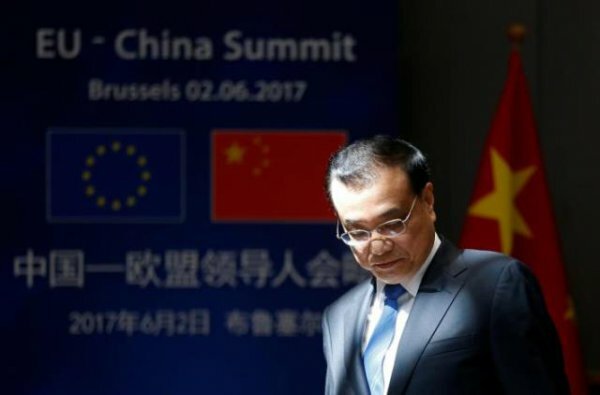 The European Parliament expressed its strong concern about the lack of dialogue in 2016 in its resolution of 15 December 2016 and urged the Chinese government to agree to a high-level dialogue in early 2017. It remains our conviction that a regular and strengthened human rights dialogue, prepared thoroughly, following a well-established pattern and rhythm, allowing for high-level participation from both sides, leading to tangible results, is in the interest of both partners. The Subcommittee on Human Rights and the European Parliament remain committed to a meaningful debate to enable the EU and its Member States to achieve a strategic, coherent and unified approach to engaging China on human rights. The Subcommittee also stands ready to organise an official visit to China to undertake discussions with the relevant counterparts. Today, we urge the EU and its Member States to review and sharpen the human rights dialogue with China, with a view to making it more results-oriented, based on clear benchmarks. It will be crucial to ensure both that the perspectives of Chinese and European civil society are fully taken up in the dialogue and that the exchange addresses all important human rights concerns. Parliament remains concerned by the Chinese government’s continued efforts to silence civil society, including human rights defenders, activists and lawyers. Constitutionally guaranteed fundamental freedoms of expression, assembly and association are systematically violated. Therefore discussions in the human rights dialogue should address the above issues and include the freedom of expression, association and peaceful assembly, minority rights as also enshrined in the Chinese constitution, freedom of religion and belief, promotion and protection of human rights defenders, including their participation in international fora and their protection from reprisals, the crackdown on lawyers since July 2015, business and human rights, the death penalty, torture and ill treatment, as well as the ratification and implementation of key conventions such as the ICCPR. The Subcommittee on Human Rights and the European Parliament also remain highly concerned about all individual cases and situations, particularly those specifically referred to in Parliament’s resolutions, including Ilham Tohti, Liu Xiaobo, Hong Kong and the Larung Gar Buddhist school and monastery and the grave human rights situation in Tibet. We reiterate our call to the Chinese government to resume the dialogue with the representatives of the Dalai Lama. We urge the EU and its Member States to consistently raise these individual cases and issues with Chinese counterparts also outside the human rights dialogue in their regular exchanges, including on trade and investment. We also encourage China to address these human rights concerns and to release detained human rights defenders and lawyers. Furthermore, we urge the EU and all its Member States to step up their efforts in using all opportunities at the UN Human Rights Council and all other relevant multilateral fora to address human rights abuses in China and to engage with the Chinese government as part of a constructive and results-oriented approach".